Ferulic acid is a compound found naturally in a number of foods, including oats, brown rice, whole wheat, pineapples, and peanuts. Known to possess antioxidant properties, it's thought to enhance health and fight certain diseases when ingested. In addition, ferulic acid is sometimes used as a topical ingredient in skin-care products, especially those touted as anti-aging remedies. Ferulic acid is best known for its skin-care benefits. When applied topically (i.e., directly to the skin), ferulic acid is said to treat sun damage and reverse signs of aging (such as fine lines and wrinkles). Ferulic acid is also purported to protect against cancer, aid in the prevention of Alzheimer's disease, enhance exercise performance, and slow up the aging process. Clinical trials are currently lacking, with most of the findings on ferulic acid's potential health benefits coming from animal-based research and laboratory experiments. While relatively few studies have tested ferulic acid's effects on skin, there's some evidence that applying this it may have some protective effects. In a small study published in the Journal of Cosmetic Dermatology in 2008, for example, an experiment involving 10 healthy volunteers demonstrated that a topical antioxidant mixture consisting of vitamin C, ferulic acid, and phloretin (a compound found naturally in apples) helped shield skin from the harmful effects of exposure to the sun's ultraviolet rays. Additionally, a preliminary study published in the Journal of Investigative Dermatology in 2005 found that a mixture of ferulic acid, vitamin C, and vitamin E may help fight sun-induced damage to the skin by reducing oxidative stress. Ferulic acid may help lower blood pressure, according to a 2002 study from the American Journal of Hypertension. In tests on rats, scientists discovered that ferulic acid helped bring blood pressure down by promoting widening of the blood vessels. In a more recent study (published in the Journal of Cardiovascular Pharmacology in 2013), researchers observed that treatment with ferulic acid improved the structure and function of the heart, blood vessels, liver, and kidneys in rats with high blood pressure. A study published in Phytotherapy Research in 2004 indicates that ferulic acid may help with diabetes control. After treating diabetic rats with ferulic acid, the study's authors found that the compound enhanced the animals' antioxidant capacity and helped regulate their blood sugar levels. In addition, a 2012 study from the European Journal of Pharmacology found that a combination of ferulic acid and resveratrol helped alleviate damage to the liver, kidney, and pancreas in diabetic mice, possibly by reducing inflammation. Due to a lack of research, little is known about the safety of long-term or regular oral use of dietary supplements containing ferulic acid. It's important to note that self-treating a chronic condition (such as diabetes or high blood pressure) with ferulic acid and avoiding or delaying standard care may have serious consequences. Sold in some drugstores, skin-care products containing ferulic acid can also be purchased in specialty beauty stores. Widely available for purchase online, dietary supplements containing ferulic acid are sold in natural-foods stores, drugstores, and stores specializing in natural products. While ferulic acid is widely used in topical skin care products, due to the limited research, it's too soon to recommend ferulic acid supplements as a treatment for conditions like high blood pressure. 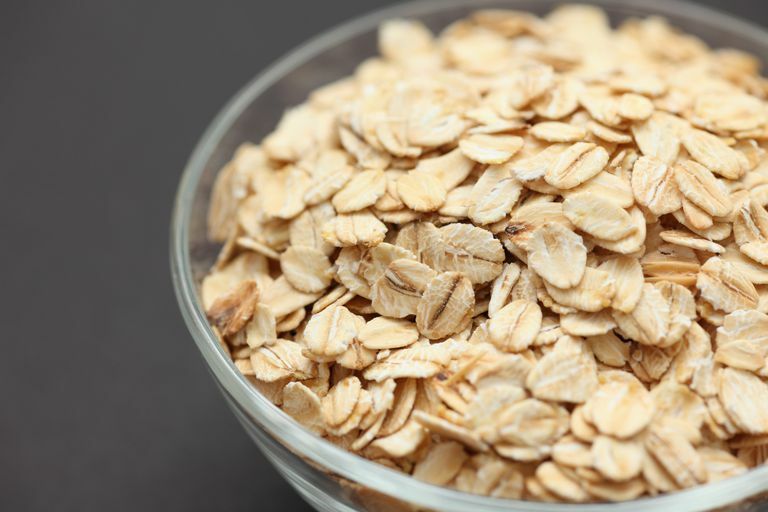 To up your intake of ferulic acid in food, try eating foods naturally rich in ferulic acid, such as oats, brown rice, and pineapples. Alam MA, Sernia C, Brown L. Ferulic acid improves cardiovascular and kidney structure and function in hypertensive rats. J Cardiovasc Pharmacol. 2013 Mar;61(3):240-9. Balasubashini MS, Rukkumani R, Viswanathan P, Menon VP. Ferulic acid alleviates lipid peroxidation in diabetic rats. Phytother Res. 2004 Apr;18(4):310-4. Lin FH, Lin JY, Gupta RD, et al. Ferulic acid stabilizes a solution of vitamins C and E and doubles its photoprotection of skin. J Invest Dermatol. 2005 Oct;125(4):826-32. Oresajo C, Stephens T, Hino PD, et al. Protective effects of a topical antioxidant mixture containing vitamin C, ferulic acid, and phloretin against ultraviolet-induced photodamage in human skin. J Cosmet Dermatol. 2008 Dec;7(4):290-7. Ramar M, Manikandan B, Raman T, et al. Protective effect of ferulic acid and resveratrol against alloxan-induced diabetes in mice. Eur J Pharmacol. 2012 Sep 5;690(1-3):226-35. Suzuki A, Kagawa D, Fujii A, Ochiai R, Tokimitsu I, Saito I. Short- and long-term effects of ferulic acid on blood pressure in spontaneously hypertensive rats. Am J Hypertens. 2002 Apr;15(4 Pt 1):351-7. Is Moringa Really a Miracle Food? Can Asparagus Extract Treat Urinary Tract Problems?